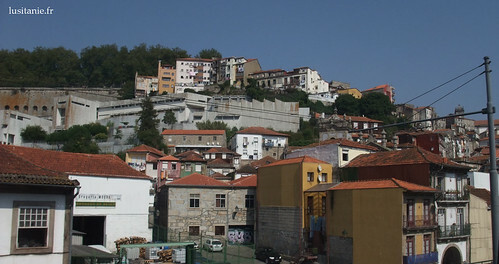 Porto or oPorto is the second largest city of Portugal. Beautiful capital of the North of the country, it gave, with itsneighboring city of Gaia, his name in the country: Portugal, Porto-Gaia. With two million inhabitants, approximately with the metropolitan area, its dynamism is the pride of the region: in the North, they work, as it is well known in popular culture! The city is known as the cidade invicta, “undefeated city”, by the heroic deeds of its inhabitants, also known as the nickname of “tripeiros“. Indeed, upon departure of the Portuguese army to conquer the city of Ceuta in North Africa in the year 1415, the entire population of the city gave soldiers the entire stock of meat, keeping only the guts, “tripas”. With this, people have invented of tasty dishes based on guts, that still today we enjoy with pleasure. 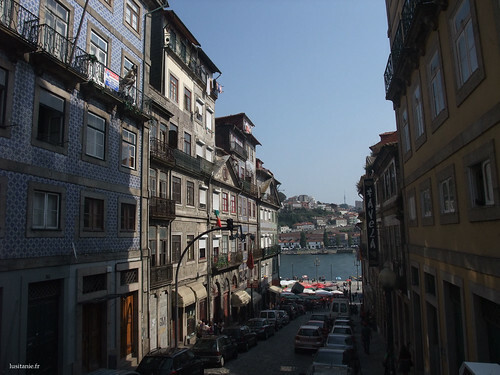 I keep an unforgettable memory of my stay in Porto, on my last trip to Portugal. 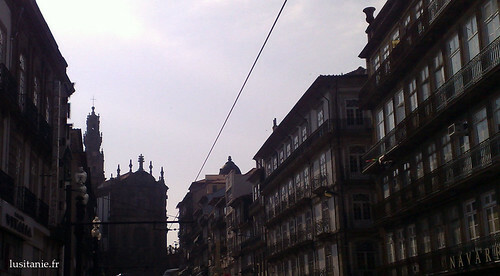 It is a dream destination, especially since many low-cost airlines have cheap direct flights Paris-oPorto. Just watching people walking quietly along the docks already enjoying the city, strolling alongside the “rabelos” boats which transported in the old times the barrels of the famous port wine along the banks of the river, and now carry tourists: a cruise on the Douro is a unique experience. The most famous monument of the city is without doubt the “Torre dos Clerigos, very dear to portuans. 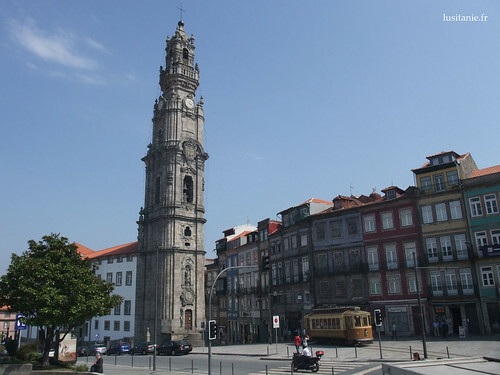 It is the tower of the church bearing the same name, built in the eighteenth century, by Italian architect Nicolau Nasoni, who did so much in Porto. He is also buried in this church (but we do not know the exact location of his tomb). People who are playing cards on the riverside. 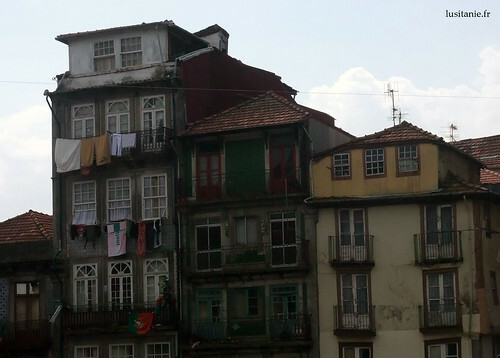 The sweet life of Porto is obvious in these late summer photos. An ideal temperature, never stifle with the proximity of the Atlantic Ocean, people here speak with an accent from the north, so singing. 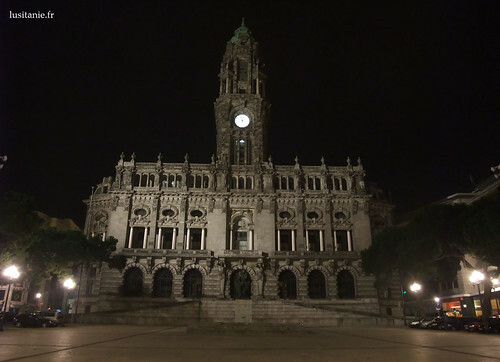 One could compare Porto, Barcelona or Marseilles: they are large cities with well-marked culture, different from the capital of their country. 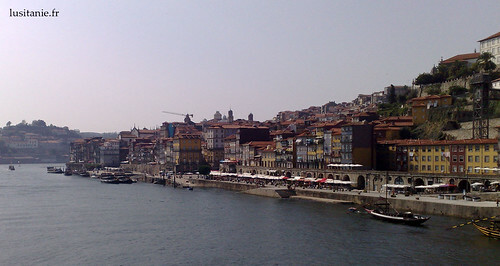 Porto is the eternal rival of Lisbon. 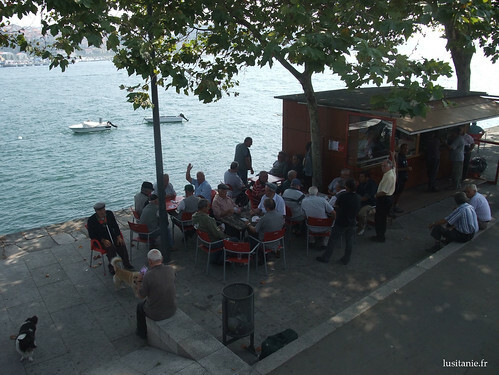 Moreover, people here speak with a comma (the “carago” or something more vulgar, used to punctuate sentences …: D). Everything dotted on the map has been classified as World Heritage Site by UNESCO. The whole city is a monument! This means the rich heritage of the city. 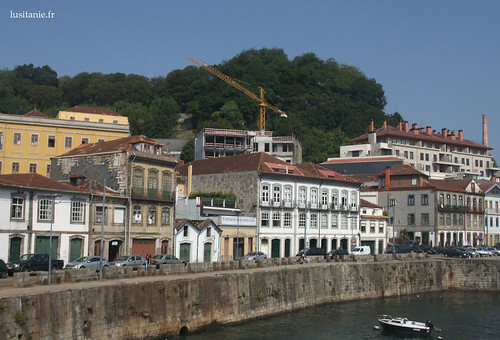 In 2001, the city of Porto was European Capital of Culture. 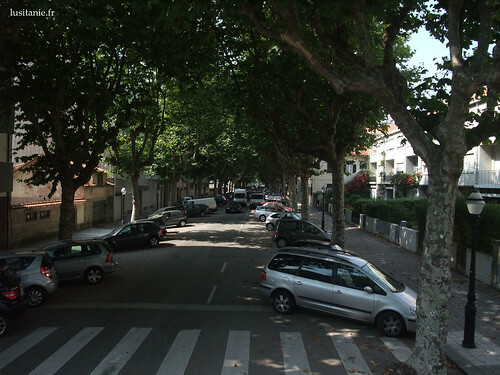 This brought to the city many new facilities, and many old streets have been renovated, as is the case of the street 31 de Janeiro, indicated by the plate placed on the pavement. The old city is listed by UNESCO, and should therefore be retained as is: the work are subject to very strict standards, to meet very precise specifications. 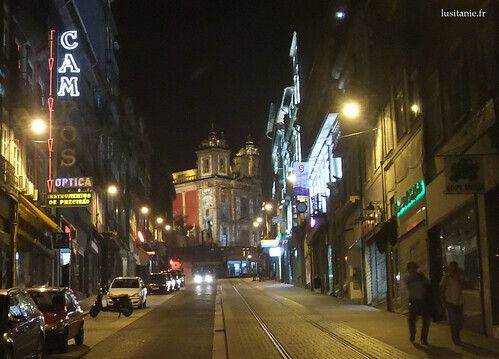 These two realities are juxtaposing old and new in Porto. 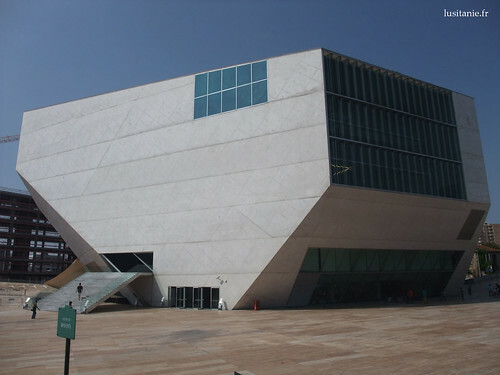 The most emblematic building of Porto 2001 is without doubt the House of Music, “Casa da Musica”. More emblematic in its form, its usefulness (great hall with prodigious acoustic), and especially its inauguration in 2005. Yes, 2005: it has never served in the year 2001, construction having taken a lot of time. No worries! 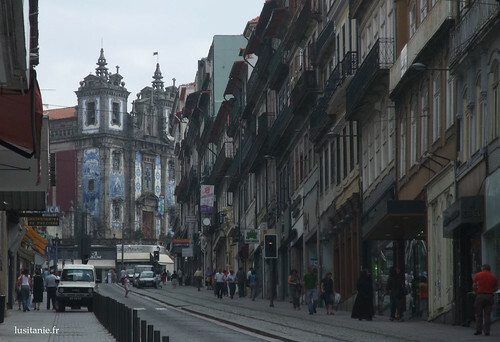 The outer shape is controversial (I personally do not like that pebble in a city with such historical heritage), and its acoustics is recognized as excellent, and even the best in the world will tell you Portuguese, no less. 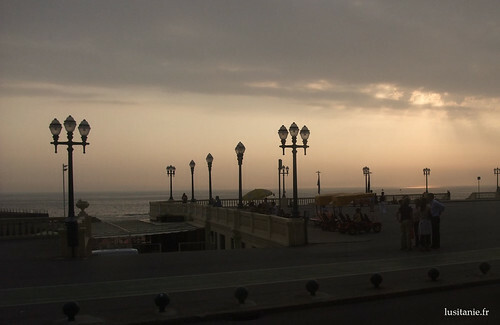 Nevertheless, it quickly became an icon of the city, a place known to all, where portuans like to come for a walk. One feels that the city wants to evolve towards the future, is a perpetual construction site, run-down areas being transformed gradually into modern districts. They just have to be careful not to make too impersonal buildings like that can happen on the buildings of the next picture. The old buildings are beautiful with their bright colors and their roofs almost touching the window: Do not overfill the city of buildings you can see across the wide world, but keep the specific local. Only by remaining ourselves we have a chance to shine. I do not think anyone comes to visit a city that is identical to many others. As everywhere, many ugly graffiti litter the city’s buildings. I ask you to look at the roof of the building to the left, here in the picture above. You can see a sort of small glass roof, which is found in many buildings portuenses: it is a skylight that brings natural light into the building’s stairs. We talk about saving energy, here is a good way to do it. 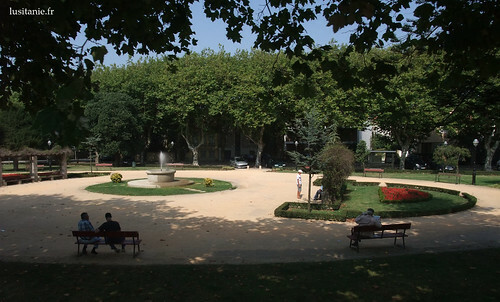 The city has many modern facilities. Public toilets are nice 🙂 I find that even the pub is the most beautiful effect, is a good way to finance this public good without increasing local taxes. 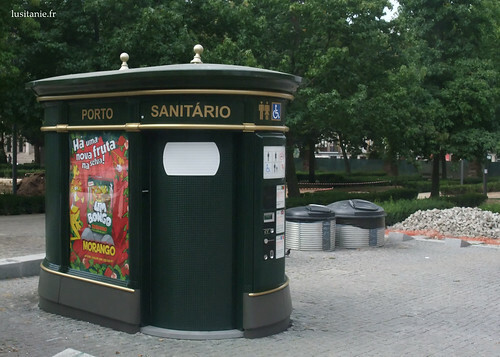 Much care is given to the aesthetics of new buildings in the city, details of street furniture, in short, the Portuguese taste for beautiful things. 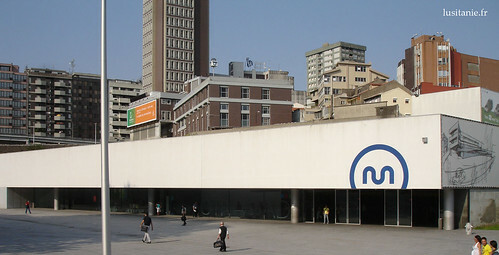 Trindade Metro station was designed by Pritzker architect Souto Moura, who also did the AXA Stadium in Braga , regarded as one of the finest stadiums in the world. I particularly like the design on the side of the facade, which is precisely the station when it was still a draft. Santo Ildefonso church that can be seen after a street in the old town is a pure gem, completely covered with beautiful tiles, such as design of Lusitania:) Just for fun, I also put here a photo of this street during the day, I like to see the differences between the night …. March 30, 2011, 12:39 am, "City". Wow. 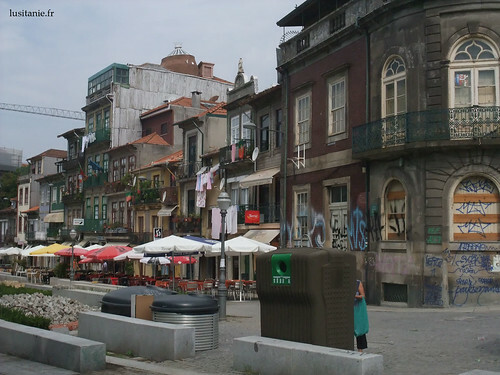 I love your blog about Porto, it sure looks like a very inviting place to go to. I would love to visit this side of Portugal one of these days. Portugal Discovery, March 30, 2011. Portuguese version : Descobrir Portugal. French version : Lusitanie.fr.